Nice Vice paint pot all over the lid. 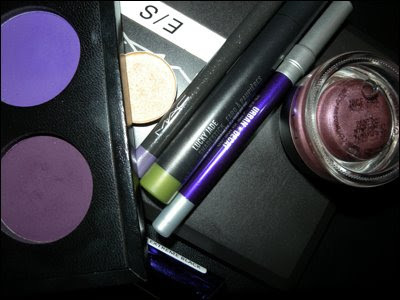 MUFE #72(matte purple) on the lid. Lucky Jade shadestick in the crease. Sharp eyeshadow in the crease a good dupe for that is "bitter". 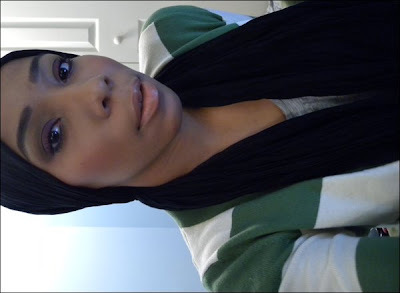 MUFE #160 (dark matte purple) in the crease. Rose Blanc on the brown bone and on the tearduct.